Locks of Love is a well-known organization that accepts donations of human hair to create hairpieces for children who have lost their own hair because of cancer treatments and other medical causes. The program has guidelines for donating and receiving hair and this article answers some of the most frequently asked questions about Locks of Love. Locks of Love is a public, non-profit organization that provides hairpieces to 'financially disadvantaged children' who have lost their natural hair through medical treatments. While the majority of donations are received by children suffering from alopecia, Locks of Love does help people under the age of 21 who have lost hair due to other conditions. The causes of hair loss vary and include hair loss from long-term chemotherapy and permanent loss from radiation therapy. The hair pieces are made through donations of hair from men, women, and children across the United States and Canada. Financial donations are also accepted for those who do not wish to donate their hair. 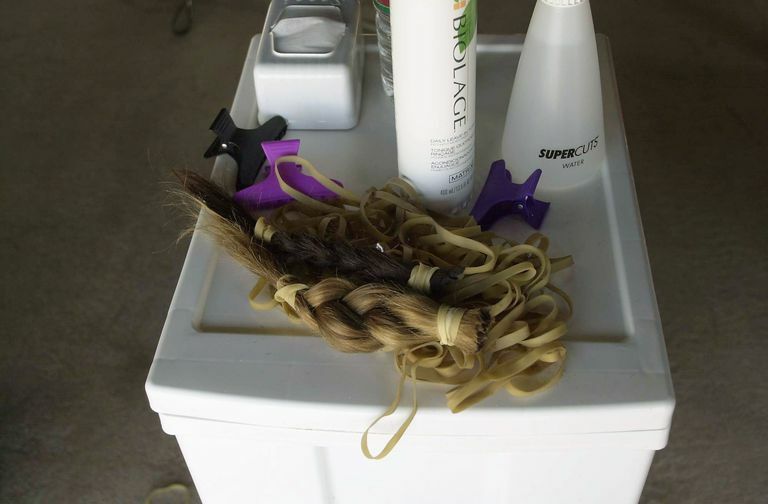 There are guidelines for donating hair to Locks of Love, such as length and condition of hair. Hair can be cut by anyone as long as these guidelines are met. Many salons are also sponsors of Locks of Love and will cut your hair for free as long as it is donated to Locks of Love. To request a hairpiece, a Locks of Love application must be submitted. An essay about the child and two letters of recommendations are also required. Tax forms must also be submitted because Locks of Love only donates hairpieces to disadvantaged children. Parents or guardians with an income over $100,000 generally do not qualify unless they have extenuating circumstances. Receiving a hairpiece can take 4 to 6 months from the time an application is submitted. Once the application is approved, the family is sent a molding kit. The molding kit will allow a plaster mold to be made of the child's head. The mold is then sent back to Locks of Love, who then sends it to the hairpiece manufacturer. The hairpieces are intricately made to ensure high quality and Locks of Love fits the bill for the manufacturing. The hair pieces would normally retail for $3500 to $6000. Can a Child Get More than One Hairpiece? An application to Locks of Love can be submitted every 18 months. A child can receive up to 5 hairpieces. While Locks of Love says that the majority of applicants are girls, hairpieces can also be made for boys. Childen with short-term hair loss can also receive a synthetic hairpiece. Is It Only For Children With Cancer? The organization helps children suffering from long-term and permanent hair loss due to several conditions, not cancer exclusively. Should You Use Latisse for Chemotherapy-Induced Eyelash Loss?